Attending quarterly or annual events: It can be located inside Japan or outside Japan (for example, we have Anime Festival Asia / AFA in Southeast Asia). In Japan, there are tons of them, ranging from Comiket (manga and anime goodies, twice a year), Animelo (one of the biggest Anisong concert in August), Wonfes (figures, twice a year), Tokyo Game Show (games, once a year), World Cosplay Summit (cosplayers, once a year), etc. In addition, there are a lot of side events: anniversary exhibitions (such as Madogatari from Shaft last month), live tour concerts, and so on and so forth. 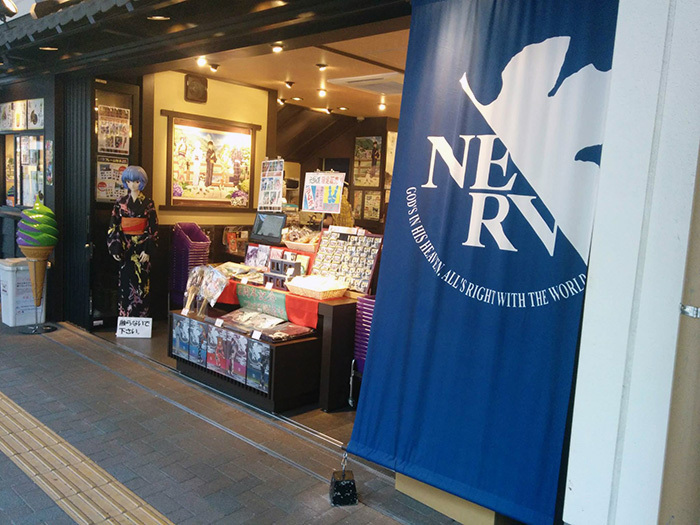 Topic from the second and third points is too broad, so I decide to focus today’s topic on the first point: pilgrimage to anime-related spots in Japan. In addition, for this post, I will try not to include stereotypical places in the middle of the city like Akihabara, Odaiba, etc. Hakone is a popular tourism spots for Japanese people and tourists. For local people, Hakone is well-known for its onsen and several other attraction spots (especially if you've bought a free-pass). But do you also know that Hakone is also featured in a number of animations? Perhaps, one of them most popular anime is Neon Genesis Evangelion. The original animation aired around 1995 to 1996, so it's a quite old series. Since last November this year, JR has also launched a special Evangelion shinkansen which runs from Shin-Osaka to Hakata (https://www.japan-rail-pass.com/japan-by-rail/travel-tips/evangelion-train). I went to Hakone during my internship in HDE last year. 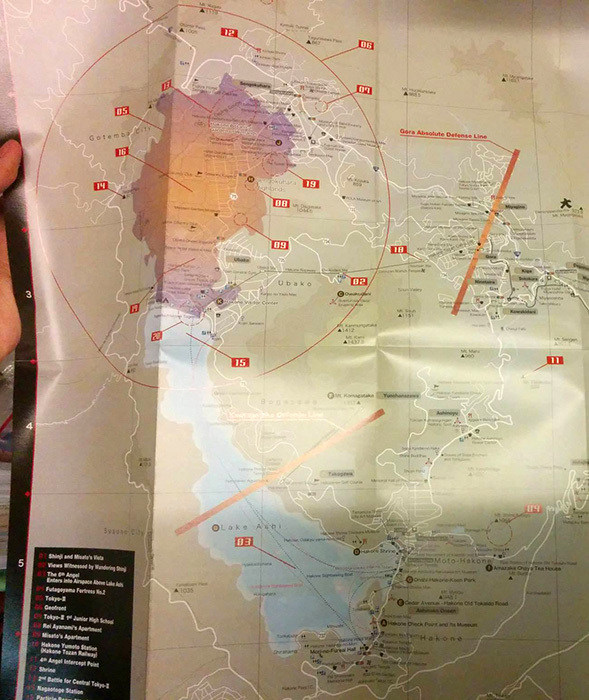 The following map might be not your typical map for sightseeing. 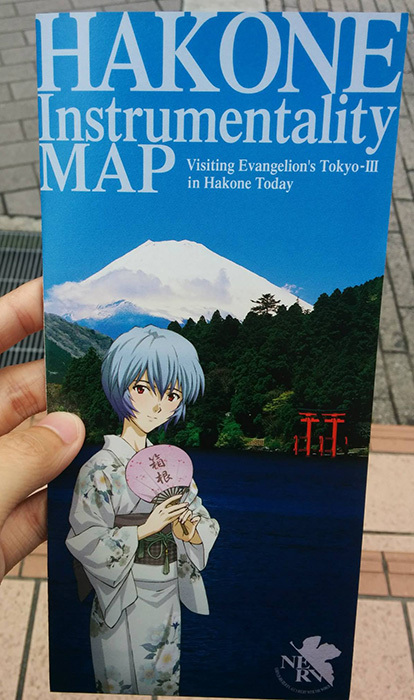 In order to get this map, you should go to the tourist information center (right in front of Hakone-yumoto station) and ask for Evangelion's edition map. They may try to ask you several questions such as your nationality, and so on and so forth. In Evangelion series, Hakone is named as Tokyo-III, and as you can see in the following pictures, the quality of map in depicting Evangelion series is quite good. It's not quite related, but in the current airing season (Fall 2015), there is also another anime which tries to promote Hakone and its surrounding area. If you're interested, feel free to check it out. Hida-Takayama, which is a part of Takayama, which is also known as part of Japan Alps (http://www.japan-alps.com/), is indeed one of the highly attractive tourism place in Japan. But do you know that, more than 150,000 visitors (local and foreigner) per year in Hida-Takayama came because of its pilgrimage spots? 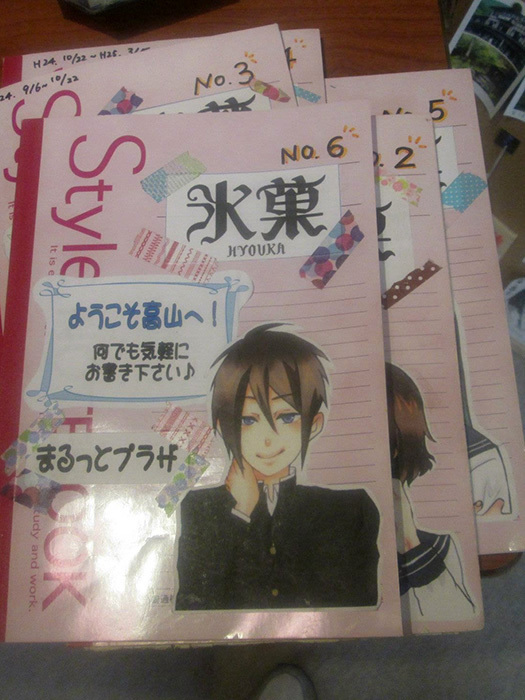 Hyouka (氷菓) is based on a mystery novel and KyoAni decided to adopt it into an anime series in 2012. I visited Hida-Takayama about two years ago.If you're lucky,it is possible that you still can find these map flyers in a specialized Hyouka shop. 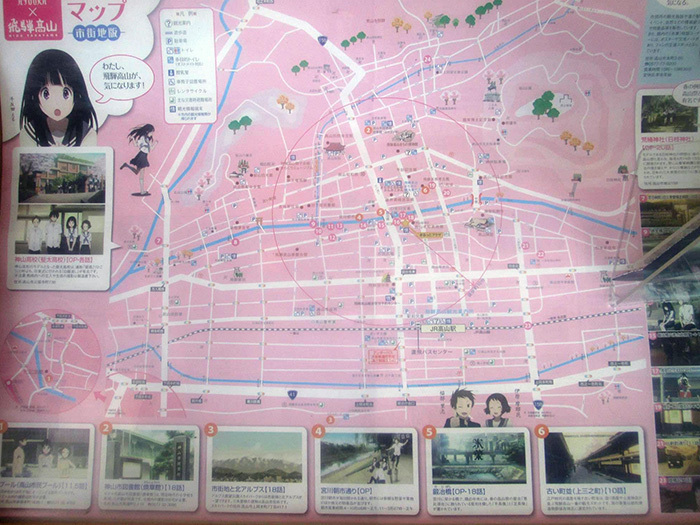 In this map, they have pinpointed all pilgrimage spots, including its anime counterpart in the picture. Have you ever been in Kyoto? If you have ever been lived in Japan, there is a very high probability that you have visited Kyoto during one of your trips. Fushimi Inari Taisha is the head shrine of Inari, and TripAdvisor recommends that visiting Fushimi Inari is #1 out of 762 things that you should do in Kyoto. 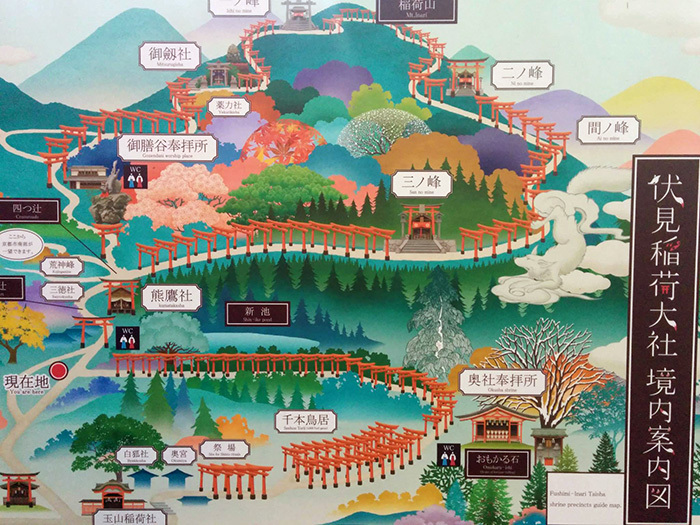 The shrine itself has thousand of toriis (red-shaped gate) and spans across 4 kilometres up to the top of mountain. Personally, I've been to Kyoto three times and Fushimi Inari shrine for two times. On one of the occasion, they have some events which are related to one of the most recent airing anime: Inari, Konkon, Koi Iroha. 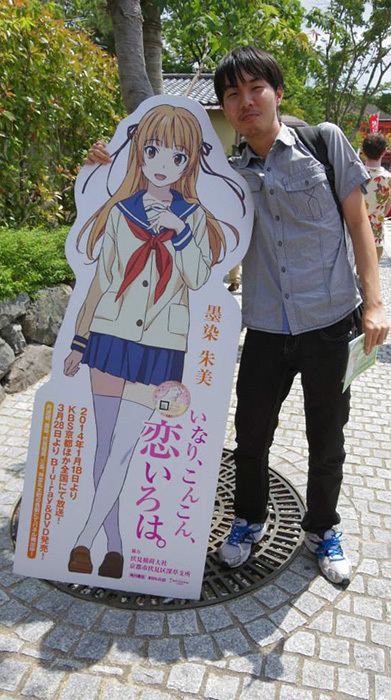 To put it simply, it seems that there is a certain pattern to create an anime in order to promote tourism spots here. If you have a plan to visit Kyoto, do not forget to put Fushimi Inari in your list :) The place is very unique and the scenery is perfectly tempting. However, it is advised not to go there in high season, since the shrine will be very crowded. The walking path is also quite long, so it is recommended to bring some proper equipments with you (shoes, drinking water, etc). 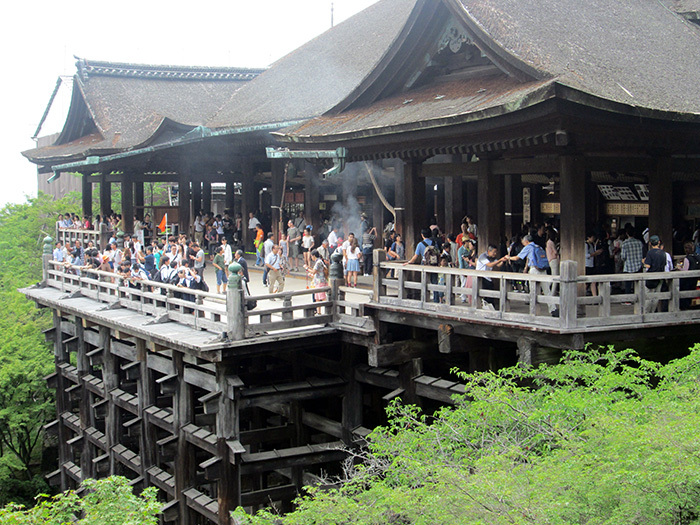 From a number of countless anime, it almost can be inferred that Kiyomizu Temple is one of the most popular destination for school trip to Japanese middle school / high school students. I don't know the accuracy of this statement, but it's like a common occurrence in Japanese animation. Is this information correct? :O By order of its popularity, I've seen this temple is featured in Lucky Star, K-On!, Yuru Yuri, Oregairu / SNAFU, Ansatsu Kyoushitsu, IS, and so on. Basically, all of them are featuring school students as its main character. Out of three visits to Kyoto, I've also never missed in visiting Kiyomizu-dera. The following photo has an interesting legend: If someone tries to jump from this 13m stage, it is said that one's wish will be granted. Do you have a wish that you want to make it true? If you have one, feel free to try it :)) Joke aside, this act is prohibited right now (It is also known that ~80% of them survived, well, I'm not sure how they can arrive to this number). Regardless the season, the scenery is stunning. If you visit this temple during autumn, they have an illumination event for autumn foliage. In middle of March, I heard that they also have some illumination event for Hanatoro (花灯路 - which means "flower and light road"). Without any anime influence, Kiyomizu-dera is already famous since it is listed as one of the semi-finalist in New 7 Wonders of the World. This place is absolutely worth visiting. These lists are a small subset from anime pilgrimage in Japan. Of course, if we want to find a correlation between Japan, animation, and tourism, there are a lot of other aspects: events, goods, foods, メイドカフェ (maid cafe), which could not be described in a single article. I believe there are a lot of opportunities to attract foreigners with adding anime culture as a value-added enhancement. Nevertheless, it may have some negative drawbacks (as there are a number of people out there who are less mature; in addition, it may cause cultural assimilation which is not acceptable for some people). If you're reading this article because of your curiosity in anime pilgrimages, feel free to let me know :D There are a lot of places out there which have not been described in this article: Kamakura (Elfen Lied, Tari Tari), Shirakawa-go (Higurashi), Chichibu - Saitama Prefecture (Ano Hana), Kanazawa Pref. (Hanasaku Iroha), etc. Anime pilgrimage is particulary interesting because you can visit a number of new places from different viewpoint, while you can still enjoy those spots from its mainstream viewpoint. hde is using Hatena Blog. Would you like to try it too?